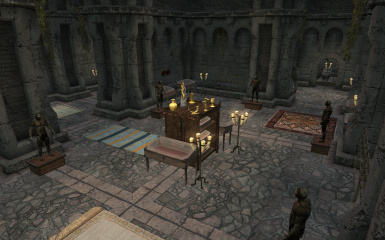 Medium sized castle in the whiterun area. It has 4 floors. A lot of display plaques, racks, cases and mannequins. 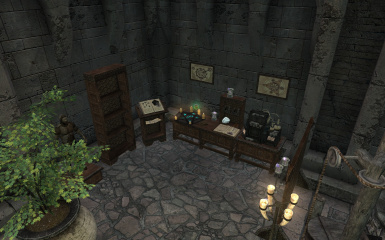 You can also display all of your masks, the elder scrolls, black books, bug jars, and more. 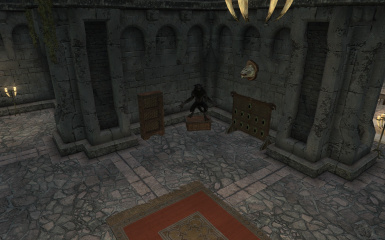 It does remove the elder scrolls and the black books from your inventory so you dont have them taking up room in your inventory. 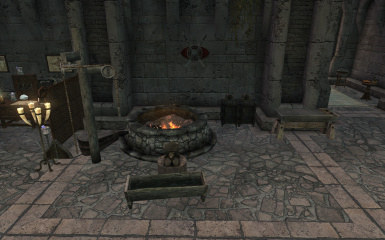 All of the displays that I used - http://www.nexusmods.com/skyrim/mods/59596/? 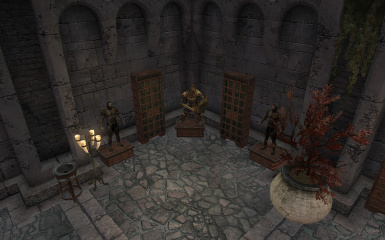 All of the open books that are shown - http://www.nexusmods.com/skyrim/mods/14134/? 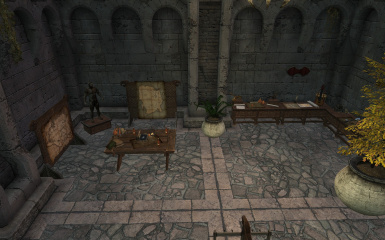 All of the art that is on the wall - http://www.nexusmods.com/skyrim/mods/30602/? This is my 2nd mod that I have released officially. 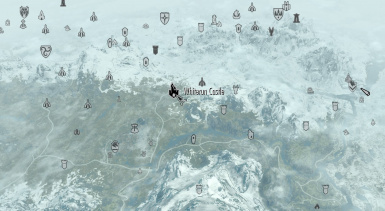 It is a medium sized castle in the area of whiterun but not too close. I highly recommend using another mod as I made the mod to work with it and that is the whole reason for the whole first floor. 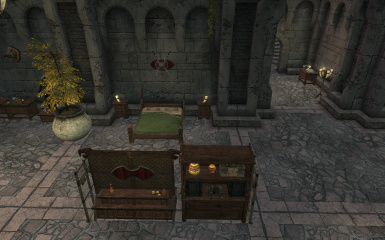 My Home Is Your Home allows followers to have their home where you want it, hence the large tavern with all of the beds behind it. 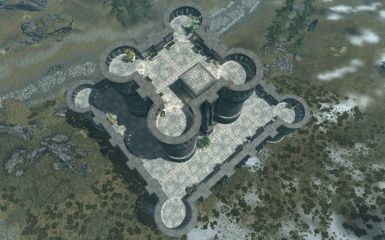 It is a medium sized castle with 4 floors. 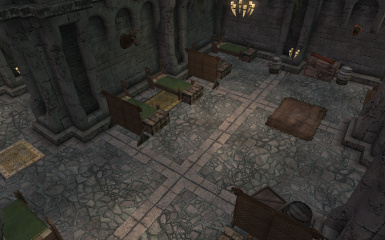 First floor is a tavern and alot of beds. 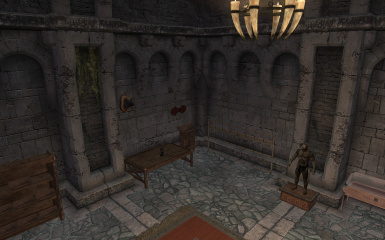 Theses are designed to be utilized with the mod i recommend below.The 2nd floor has a display room for all your weapons and armor. 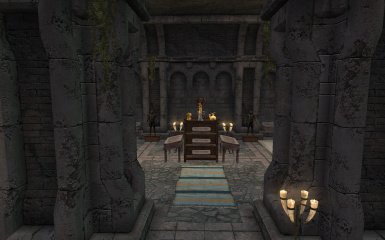 It also has a pool room and a display room for all of your unique stuff like daedric artifacts, black books, all masks including DLC's, elder scrolls, claws and bug jars. 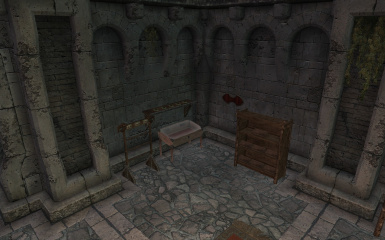 The 3rd floor only has 1 room, it has ALL of the crafting stuff in it. 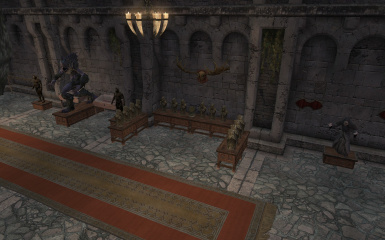 The last and final floor is the players bedroom. 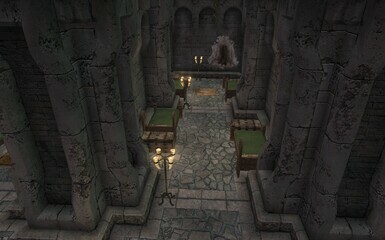 There are 3 doors into the castle, the roof, the walls, and the front door. All 3 of them you can fast travel to. There are no load doors inside the castle at all! 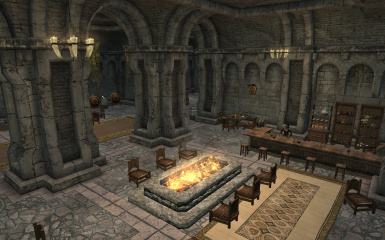 My Home Is Your Home - Allows you to make followers homes anywhere you want. I made the mod specifically for that purpose. Custom Family Home - It is a mod that allows you to move your family into any house even in a mod. 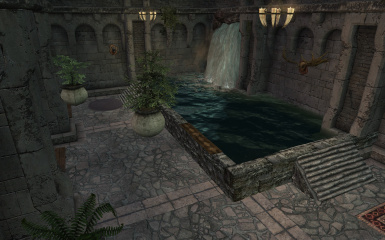 This mod does require dawnguard, heartfire and dragonborn. I intend to make another version of it expanding off of this. It will be a wall around the castle and maybe a small village inside the wall. 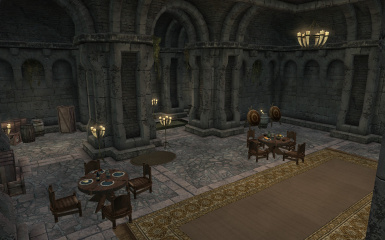 The castle itself will roughly stay the same. I am thinking of adding some custom followers. I will be making minor changes to things as I find them and they are reported. See the readme. Instructions are in there as well as how to remove the mod. None that I know of. Will fix any that are reported. ALL of the displays work correctly. If they do not in your game then it is something on your end and not with my mod. 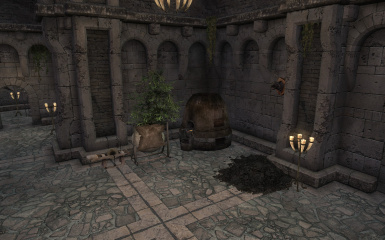 Falkreath estate 1.4 - Small estate in falkreath. 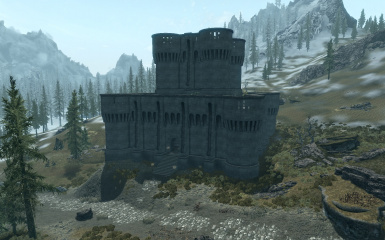 Whiterun castle - Medium castle near whiterun. 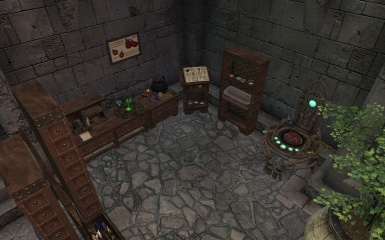 For those that prefer the workshop over the nexus, my mods are also posted there as well. I only linked the nexus as I prefer it.